Mr. Staszak is a Sr. Managing Director of Generational Capital Markets, Inc., Member FINRA/SIPC., an affiliate of Generational Equity, LLC. Since 1998, Tom has represented entrepreneurs in the valuation and sale of their privately-held businesses. 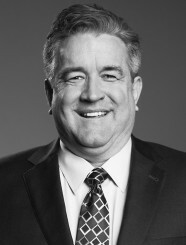 Tom joined Generational Capital in 2005 to develop its large transaction group. He has since been named the Company’s Top Producer, won the Company’s first M&A Advisory Award, led the team for several Deals of the Year and was recognized for the M&A Advisor’s Deal of the Decade. Prior to working with business owners, Tom joined the United States Marine Corps in 1986 and achieved the rank of Sergeant. His service culminated with participation in the 1991 liberation of Kuwait. Honorably discharged from the Marines. Tom earned a Bachelor of Science degree in International Business from the University of Tampa and subsequently worked as an Account Executive for LevLane Advertising. At LevLane, Tom was recognized on a national level for his work on the Midas account. Leaving the advertising industry to focus on business management and to utilize his financial background, Tom became an equity analyst for Raymond James & Associates with responsibility for the telecom industry. His experience with Raymond James included institutional sales, company valuation, public offerings and debt placement. Leaving the public markets to work with privately-held business owners in 1998, Tom spent seven years with Citigroup’s middle-market mergers and acquisitions division. With over 20 closed transactions, he was recognized as a Top Producer and lead dealmaker on the division’s largest single transaction. He has been quoted and published as an industry expert in multiple newspapers, websites and in Buyouts Magazine. Tom has numerous real estate licenses throughout the US and holds Series 79 and 63 securities licenses. Below you can explore a sampling of Tom Staszak's completed transactions by scrolling right.